Are You Facing Misdemeanor or Felony Larceny Charges? 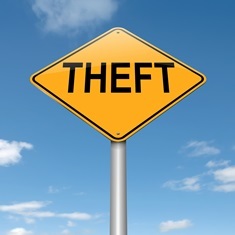 Being charged with a theft crime in North Carolina should not be taken lightly. It can result in a misdemeanor or felony conviction with stiff penalties and a criminal record for life. The long-term consequences can be as serious as the punishment because it can affect your ability to obtain a job, keep a professional license, and obtain certain loans. An experienced criminal defense attorney can investigate the circumstances surrounding your arrest and build a strong case for the charges that you face. What Are Common Larceny Charges in North Carolina? Misdemeanor larceny. A misdemeanor larceny is the taking of a person’s property without his consent and with the intent to permanently deprive him of the property when a person knows that the property is not his. The value of the property must be $1,000 or less. When the value of the property is in question, the jury will need to determine how much it is worth. Felony larceny. Felony larceny is similar to misdemeanor larceny, but the property taken must have a value of over $1,000 or the theft must meet other specific requirements, such as robbery of a person, burglary, or the theft of an explosive or firearm. Misdemeanor possession of stolen goods. This crime is the possession of stolen goods when the person knew or reasonably knew that the goods were stolen and the purpose is dishonesty. The value of the property must be under $1,000. Felony possession of stolen goods. The distinction between a misdemeanor and felony charge is the same as for larceny. Felony possession of stolen goods requires that the value of the goods is over $1,000 or that the theft meets the same requirements listed above for felony larceny. Concealment of merchandise in a store. Also known as shoplifting. Removal of a shopping cart from a store. Larceny of gasoline at a gas station. Felony larceny of motor parts. What Are the Penalties for a Larceny Conviction? Class 3 and Class 2 misdemeanors. A first offense shoplifting charge is a Class 3 misdemeanor. The maximum penalty is generally 30 days in jail and a $200 fine. A second offense of shoplifting within three years would constitute a Class 2 misdemeanor with a possible sentence of 60 days in jail and an $1,000 fine. Class 1 misdemeanor. If a person is convicted of a misdemeanor larceny, it is classified as a Class 1 misdemeanor. The maximum penalty is 120 days in jail and a fine that is at the judge’s discretion to assess. Class H felony. The sentence for a Class H felony is generally 4 to 24 months in prison, with the presumptive sentence being 5 to 6 months incarceration. Are you being charged with a larceny crime? Retaining an experienced criminal defense attorney can help get the charges against you dismissed or reduced from a felony to a less serious misdemeanor offense. In addition, the sentencing in North Carolina is very complicated and is based on a number of factors, including your prior criminal records. If you are convicted of a crime, a lawyer can help you to work out a sentence that may be less severe than serving time in jail or prison. To learn how our criminal defense team can help you defend against larceny charges, call our office to schedule your free consultation.